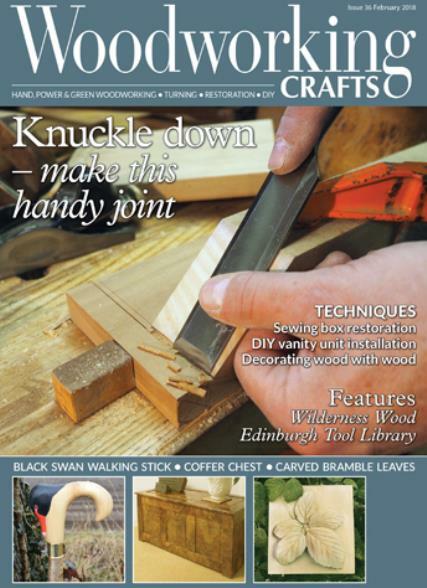 The woodworking magazine for today’s craft enthusiasts! Followed by £20.40 every 6 months direct debit. It covers everything from green woodworking to cabinetmaking to DIY, upcycling, restoration and many craft disciplines based on wood such as marquetry, pyrography, woodturning and carving. The emphasis is on applied techniques and working with different tools and materials. Readers are encouraged to interact and play their part too, with reader based product tests, letters, hints and tips published in each issue.